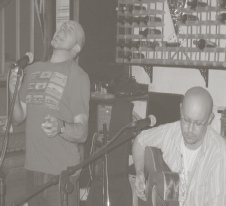 Quietly Spoken Gentleman is a blending of music and influences and are made up of Ian Prior and Ralph Martyn. 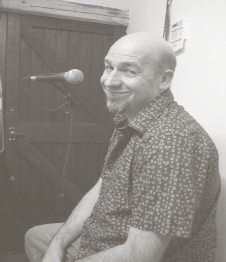 Ian has been playing, performing and recording music for many years now and has an ear and a liking for the acoustic side of music. His extensive collection of instruments include guitars, mandolins, a dobro, banjo, cigarbox slide, the list goes on! He has also spent many a year recording and producing music both for personal projects and also in a professional capacity. Ralph's first musical love was playing the drums but his talents spread way beyond that now. Always fascinated by electronic sounds, samples and loops Ralph has spent a lifetime experimenting and pushing the boundaries. During their live sets Ralph plays cahon and mandolin and sings the lead vocals. On the recordings a variety of weird keyboards, guitars and percussion have found their way onto Ian's apple mac and subsequently our album. Ian and Ralph started playing music together around 3 years ago and found instantly that their disparate styles fitted like a key in a lock. Ideas came very easily since our collaboration and we have written well over 100 songs in this short period. Our sound takes elements from the traditional deep roots of English and Irish Folk, Delta blues, rock and space age electronic sounds with a smattering of natural harmonies. Put simply they like to call it Folktronica. Quietly Spoken Gentleman are: not shouting, singing to themselves, feeling excited, so moody, your new favourite thing, have synesthesia, a walk in the dark, lost the map, found themselves, lost the plot, forgot where the treasure's hidden, dance 'round the fire, blue and orange, folky and angry, a gift horse. 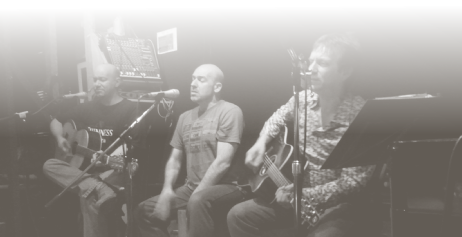 Quietly Spoken Gentleman (QSG - for those in a hurry) are currently performing live with the help of their good friend Andy Brunt (acoustic & electric guitars) who has been playing music with Ralph on and off for decades. Andy is a welcome and talented addition to any performance and takes them to new heights. They are playing songs from their latest QSG release called: "Ghost Song" along with other live material, both original and a few carefully chosen covers played with a QSG slant on them of course.